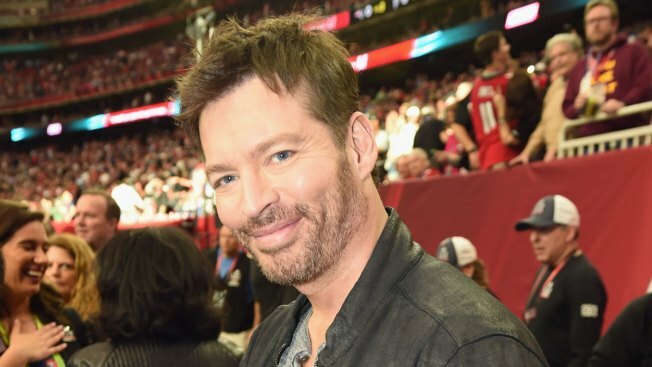 Actor Harry Connick Jr. attends the Super Bowl LI Pregame Show at NRG Stadium on February 5, 2017 in Houston, Texas. Harry Connick Jr. knows his way around a racetrack, having watched the horses with his dad at Fair Grounds Race Course in New Orleans. The Grammy and Emmy award-winning entertainer will make it to horse racing's biggest stage next month when he sings the national anthem at the Kentucky Derby. The jazzman, actor and former "American Idol" judge will perform the anthem in the Derby Winner's Circle at Churchill Downs on May 6. His performance before more than 160,000 fans will be broadcast live as part of NBC's coverage of the 143rd running of the Derby. Connick, who has performed the anthem at the Super Bowl and World Series, said it will be his first time at the Derby. He's also scheduled to perform this spring at the New Orleans Jazz and Heritage Festival — the annual celebration of music known as Jazz Fest. "I've played in front of some pretty big crowds, but I'm sure this one will be one of the best," he said of his Churchill Downs gig. Churchill's invitation was popular with another member of his family. "My wife, Jill, has always wanted to go to the Kentucky Derby," he said. "That was an easy 'yes.'" He has some deep family connections to horse racing in his hometown of New Orleans. "My dad is a huge race fan," he said. "I have nice memories of going to the Fair Grounds with him." Connick will be the ninth artist to perform the anthem since Churchill Downs started the tradition in 2009. "He's one of the finest entertainers in the world and his performance will help make 2017 another great year at the Kentucky Derby," said Churchill Downs track President Kevin Flanery. Previous Derby national anthem singers include Lady Antebellum, Mary J. Blige, Jordin Sparks, Rascal Flatts and LeAnn Rimes. The debut season of Connick's daytime talk-variety show, titled "Harry," resulted in five Emmy nominations, including a nomination for best host.